I love the cold weather after the holidays. The crisp mornings with the frozen dew on the lawn and the rooftops. I love how the morning sun warms the air just enough to make everything sort of steam up as it thaws out. And I absolutely love how the evenings get cold so early, and you get to snuggle down with something yummy and a blanket–maybe in front of a fireplace if you’re lucky! That is how it is in northern California, where I live. What I love most about cold weather season up here is that it’s also homemade soup season! 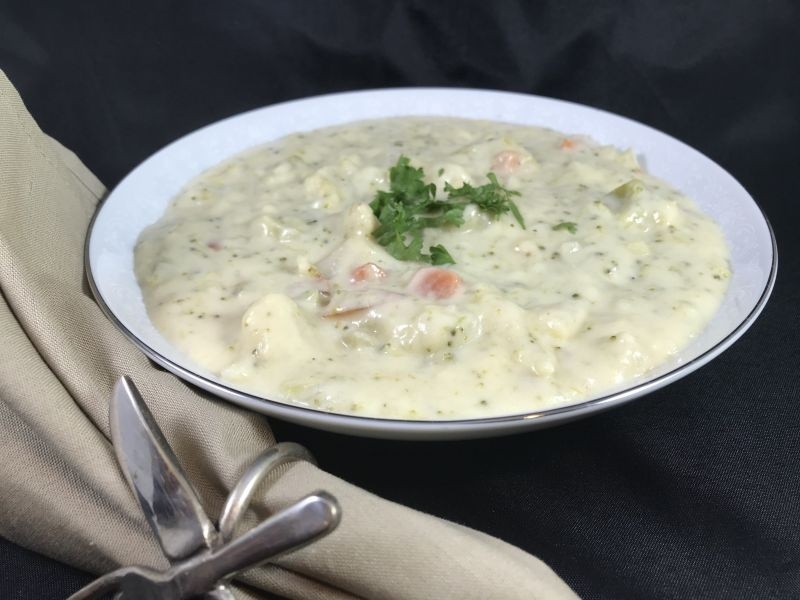 We frequently have a crock pot of soup on warm so that any time of the day you can scoop up a delicious cup or bowl of soup. 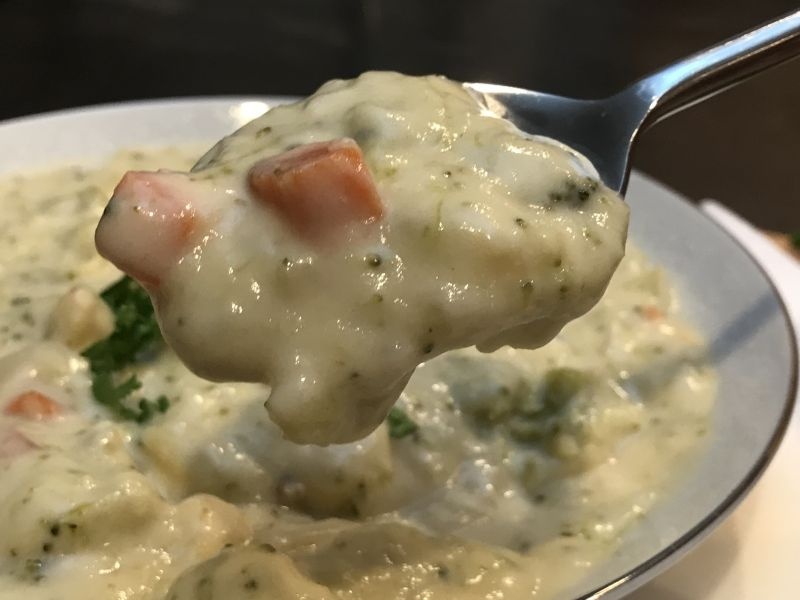 This week’s Grilled Caulifower soup is a family favorite that is sure to be yours too. 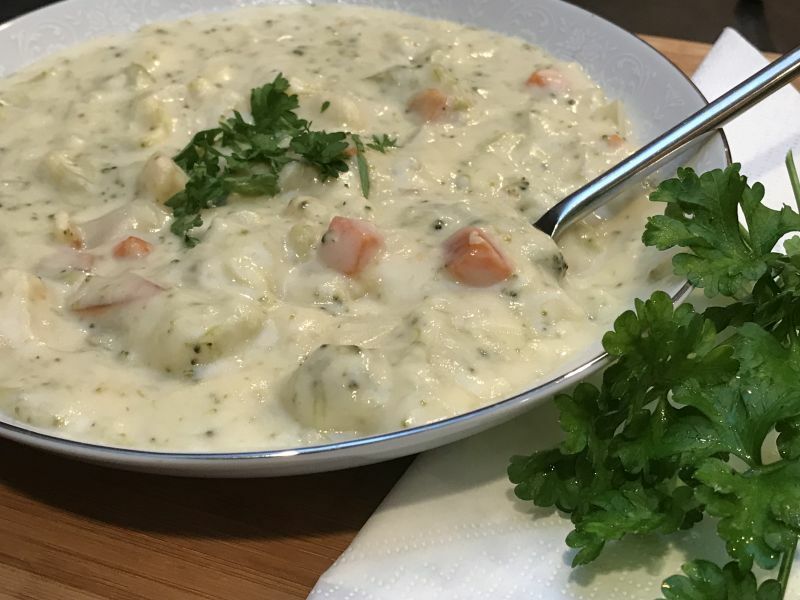 Several months ago, I taught you how to make Irish Potato Soup. 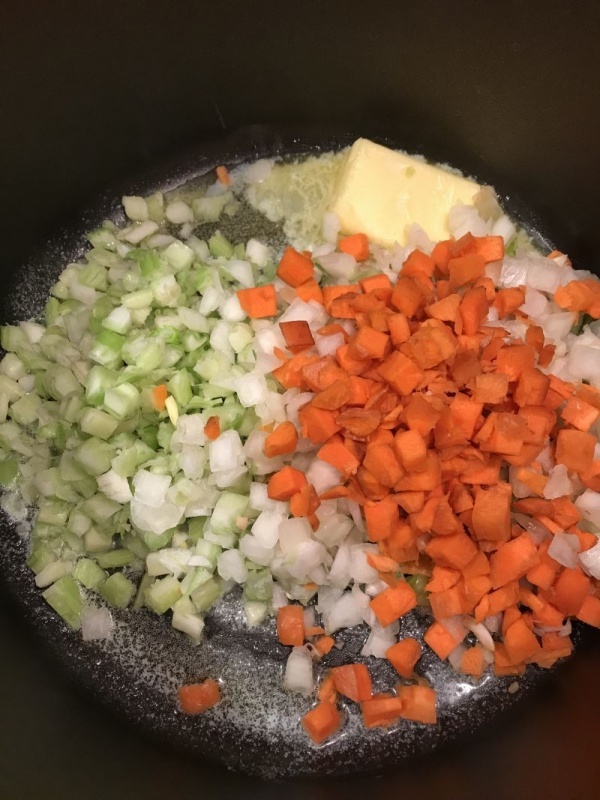 My cream soups all have the same beginning, and this week’s soup is no exception. What is different about this one, is that it is super fast because there is virtually no prep work! Plus, left over soup heats up beautifully in the microwave. I recently brought this to a church function, and it was a huge hit, so I know you are going to love it! If you have a Trader Joe’s in your area, the frozen vegetables I use in the recipe came from there. If you don’t, then the supermarket is fine. I must say, I love Trader Joe’s! Their vegetables are always very fresh, and they specialize in organic foods. They even had pre-chopped vegetables in the fresh vegetable section, and I treated myself to that when I made this recipe. If you don’t want to chop your own onions, carrots and celery you can grab a container of them at Trader Joe’s. 1. In a large pot on medium heat, cook the carrots, onion and celery pieces until slightly tender. Add the garlic and stir. 2. Add the chicken or vegetable stock and bring to a boil. 3. Add the broccoli and the grilled cauliflower pieces. 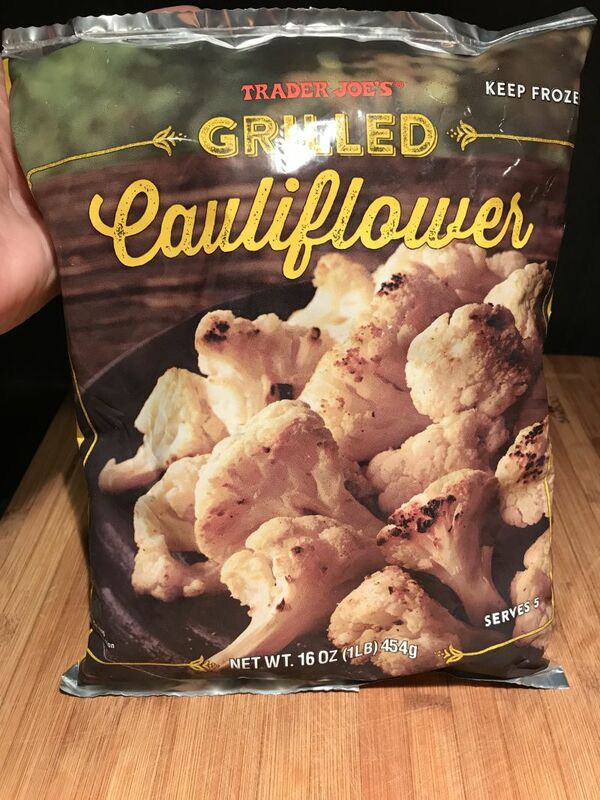 (Trader Joe’s has frozen grilled cauliflower. 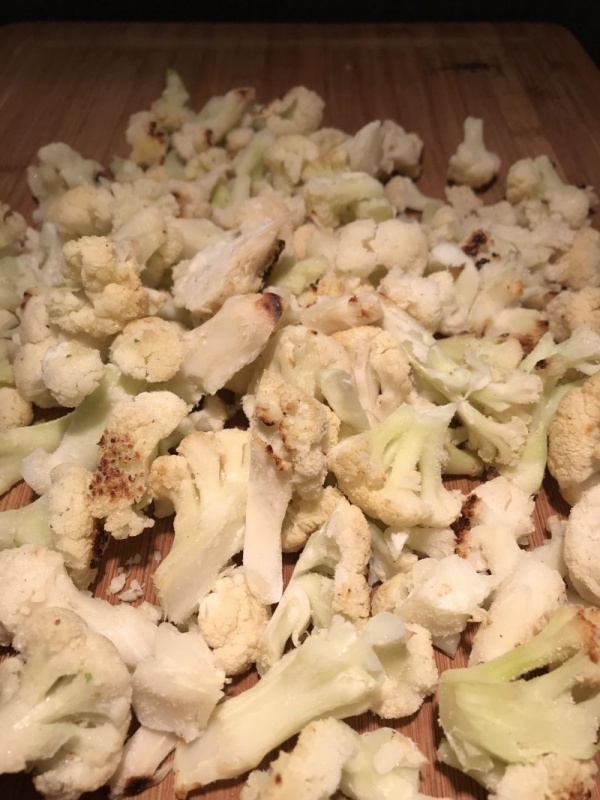 If you don’t have a Trader Joe’s, just spread your frozen cauliflower pieces on a roasting pan, place under the broiler until the edges have brown “grill” marks.) Simmer for about 20 minutes or until the broccoli and cauliflower are tender. 4. Add salt to taste. 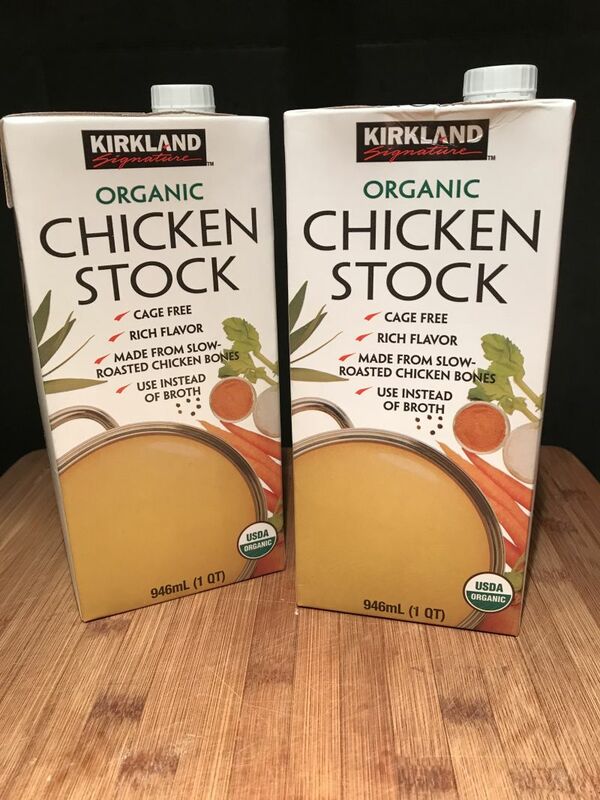 How much you use will depend on how salty your stock was. Add pepper. 5. Add the flour/water mixture and stir, to slightly thicken your stock. (Make sure your flour/water mixture is smooth. If it isn’t, pour through a wire mesh strainer) Keep on simmer while you make the roux. 6. In a separate 2 quart glass bowl, melt the butter for 1 minute in the microwave. 7. With a wire whisk, stir in the white flour until smooth. Cook 1 minute in the microwave. 8. Add the milk to the butter/flour mixture, a little at a time while you whisk so that it is velvety smooth. 9. 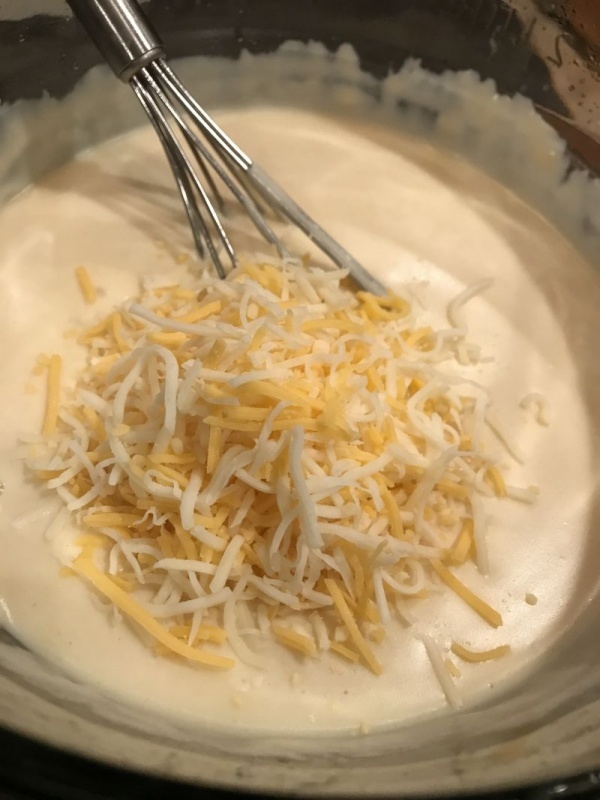 Cook the milk mixture in the microwave 3-4 minutes at a time, stirring in between each session with the wire whisk, until the entire mixture is thick and bubbly. 10. Stir the grated cheese into the roux you just made, until thoroughly melted. 11. Pour the roux into the soup, using a rubber spatula to get it all out of the bowl! 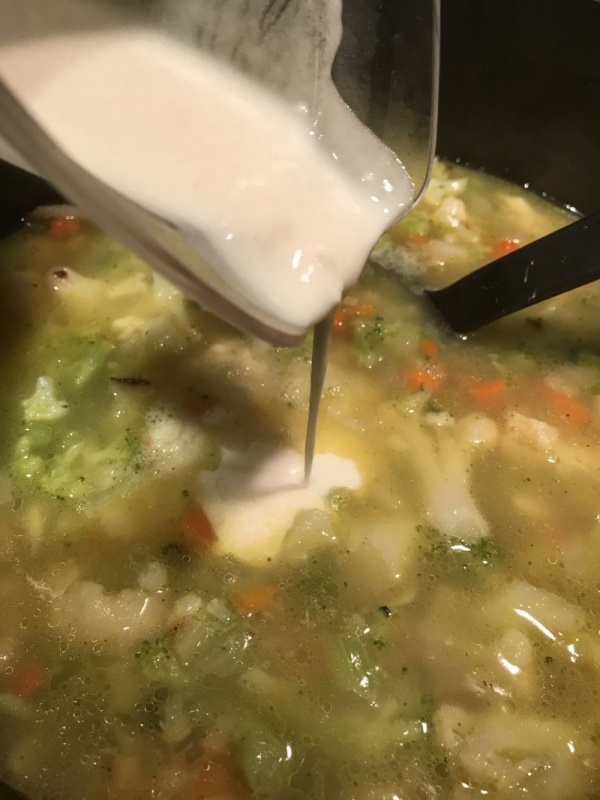 Stir the soup gently to mix evenly throughout. This soup is not only delicious, it is beautiful. It’s perfect with a crust of french bread, or served in a bread bowl. This looks scrumptious – and so easy to make! I think it will be on my weekend menu plan. Cheers April! I agree, Trader Joes has all kinds of magical things. Its sad you don’t have one near you. 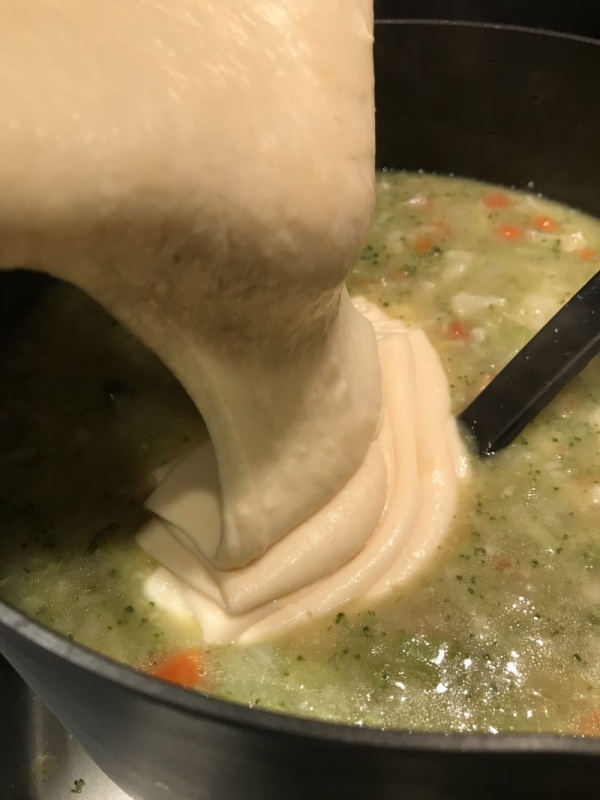 Oh well, you can still make this soup. There are instructions without the premade grilled cauliflower. I’m sorry Carol, I forgot to add the print codes. It should be up now.. Thanks for reading!